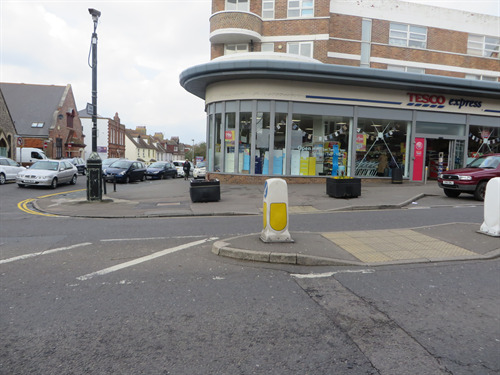 Further to it being noticed that vehicles were illegally mounting the pavement outside Tesco Express in order to park directly outside the front of the shop, Seaford Town Council has come up with a physical deterrent to stop drivers from making this manoeuvre. 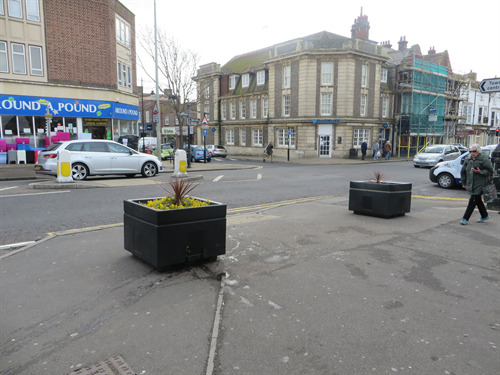 Two large flower planters have been relocated by STC staff from outside HSBC on Sutton Park Road to either side of the tactile paving outside Tesco Express. This should send the visual message to drivers that they should not be bringing their vehicles up on to the pavement. When vehicles mount the pavement they are putting pedestrians and members of the public at risk unnecessarily. 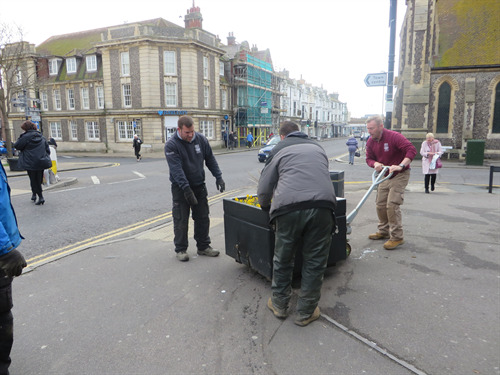 The pavement is a busy route for pedestrian traffic so Seaford Town Council was not willing to allow the situation to continue as it was.